After discovering a number of cross-border tunnels leading from Lebanon into its territory, Israel has declared this week that its next military confrontation with the Lebanese Shiite militia, Hezbollah, may be just around the corner. According to Israel's governing Likud party, the tunnels were to function as part of Hezbollah's ‘Conquer the Galilee Campaign,' referring to the mountainous region in the Jewish state's north. Israel maintains that the Iran-backed Hezbollah were planning to use the tunnel in an effort to enter and take control of as much northern territory as possible, while exacting civilian and troop casualties. It was perhaps these concerns that caused Prime Minister Benjamin Netanyahu to declare this week that the Israeli Defence Forces (IDF) "may have no choice but to act in Lebanon." Yet, it is unclear whether Hezbollah, given the chance, would have made such a military advance. A security official from the Lebanese Interior Ministry who spoke to Sputnik on condition of anonymity openly questions the utility of the tunnels. "It is not obvious to me that the Hizb [Hezbollah] were planning an imminent military campaign against Israel, which would be highly destructive for both sides. I think that the tunnel is symbolic. Hezbollah is showing Israel what it can do, and that it should not be underestimated." Yet, it is not just the presence of subterranean passages that concerns Israel's leadership, and much of its population. 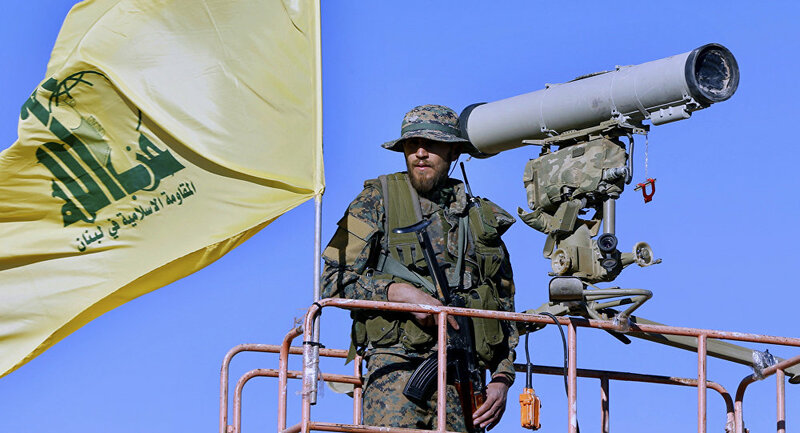 Allegedly, there are widespread concerns that since the 2006 war between the two arch foes, Hezbollah has made dramatic increases to its battlefield capabilities, in terms of weapons and combat prowess. For example, in 2006, it is estimated that Hezbollah had approximately 33,000 rockets and missiles, whereas now that number is said to sit between 120-150,000. Indeed, concerns over the Shiite group's access to new and sophisticated weaponry being sent overland from Iran through Syria to Lebanon is in part what has driven Israel's intensification of air-bombardments in Syria since 2017. This is the site from which the cross-border #Hezbollah attack tunnel against #Israel was dug in the southern Kafr Kela area yesterday, in Op. #NorthernShield. "If I'm being honest, Israel should be much more cautious, it should beware, of entering a confrontation with Hezbollah this time, things have changed considerably since 2006," the Lebanese official told Sputnik. "Hassan Nasrallah [Hezbollah's leader] has himself confirmed that Hizballah now has accurate precision-guided missiles in its arsenal, medium-range and long-range, and thousands of them. If what they say is true, then they have more missiles than the armies of some countries. We believe that if there were a provocation by Israel, then Nasrallah may be willing to use these weapons," he added.
.@UNIFIL_, since you were able to confirm our findings, please review and, well, confirm the obvious: #Hezbollah dug that tunnel from Lebanon into Israel, and this is another of its countless violations of @UN SC resolution #1701. The qualitative and quantitive leap in Hezbollah's rocket capabilities has led some analysts to conclude that if a new cross-border war were to erupt, then as many as 1,500-2,000 rockets could pummel Israel per day, compared to the 130-180 average during the July-August 2006 hostilities. In that war, which lasted just over one month, approximately 45 Israeli civilians were killed, and 1,300 wounded. On the Lebanese side, according to Amnesty International, about 1,200 Lebanese civilians were killed while well over 4,000 were wounded. Since militarily entering the Syrian war in 2012, thousands of Hezbollah fighters have also gained valuable battlefield experience through successfully supporting President Bashar al-Assad. Analysts say that this would have greatly enhanced the group's battlefield potential for any future confrontation with Israel. "Their fighters have fought across various terrains in Syria: in the cities, in the countryside and in the mountains. They have largely succeeded in helping to stabilise President Assad. They have seen both the Syrian and Russian militaries at work, even copying them in some cases. All of this has sharped their urban and guerrilla warfare tactics. They have faced fierce enemies like Daesh and prevailed. They are now feeling very confident about what they can achieve in any future war," the Lebanese official told Sputnik. It is also anticipated that in the event of a military escalation, the Lebanese Shiite group may call upon foreign Shiite factions with whom it fought in Syria, such as the Iran-trained Iraqi Al-Najba'a militia. Philip Smyth, a fellow at the Washington Institute has been quoted by Israel's Jerusalem Post as saying that there is a "potential" for these groups to be sent to the Lebanese border. "After fighting in Syria and Iraq, a number of these Iraqi fighters have gained combat experience. The real experience came with how they would coordinate and fight alongside the Lebanese Hezbollah," he reportedly said. In any event, it is unequivocal that Israel maintains a qualitative military edge over all of its Middle Eastern neighbours, including Hezbollah. It is able to storm the Lebanese border — as it has done in the past — with a force of tens of thousands, not to mention conduct strikes on Beirut from the land, sky and sea. Yet, Hezbollah's relative offensive capabilities have undoubtedly increased, and a degree of destruction for both sides is mutually assured. Just last week, the head of Israel's Home Front Command cautioned that the next war on its northern border, "will be a more complex and challenging threat to Israel." The Lebanese security official also echoed that point to Sputnik, saying that, "While Israel, with its strong military capabilities, such as an air force and navy, would be able to punish Hizballah for any attack, the cost, in terms of destruction, would likely be great for both sides." The views and opinions expressed in this article are solely those of the speaker and do not necessarily reflect Sputnik's opinion.